Beauty Jessie Bush of We The People, after Topshop, London, September 2016. Hey there Jessie with the seriously good done/undone hair. 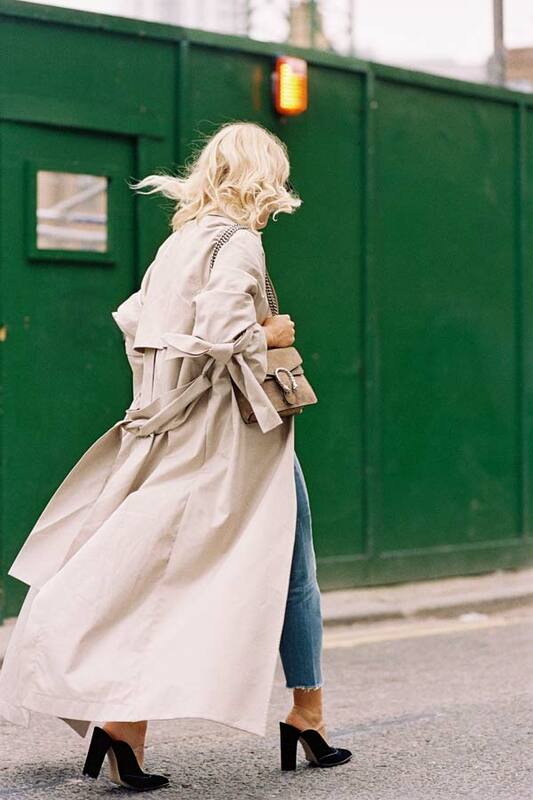 Yes to the trench + fancy mules + denim + pristine white tee.